An article about our little festival KORAK 2015, published in Celjan on December 2 2015. 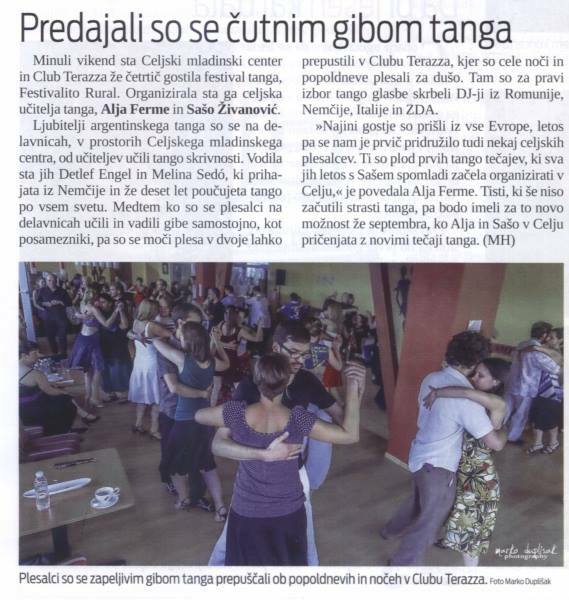 An article about the Chat about tango, happening before a milonguita in café Beli vol, Celje, published in Celjan on June 24 2015 and on web portal Novice.si. An article on our lecture in U3O, published in Celjan on May 14 2014. An article about us and Festivalito Rural 2013, published in Celjan on September 4, 2013 (in Slovene), which also puts us on the list of 7 citizens of the week. 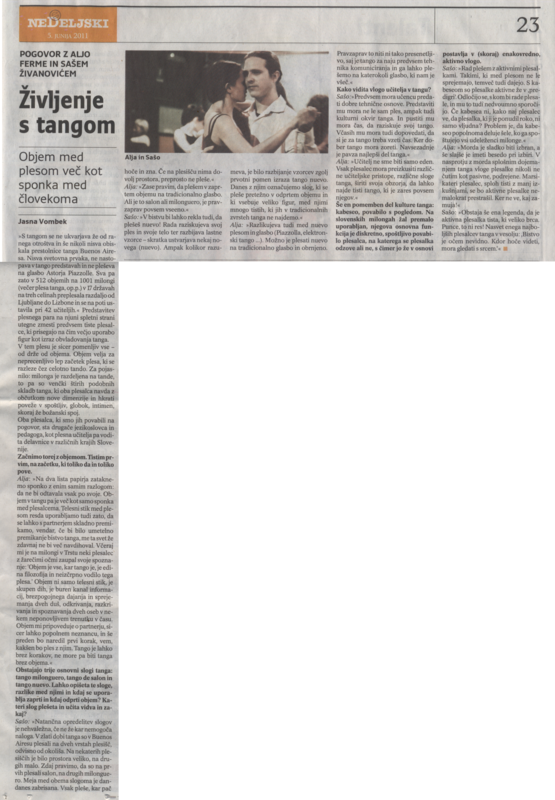 An article about us and Festivalito Rural 2012, published in Celjan on October 3, 2012 (in Slovene). We are proud that Melina Sedó dedicated a blog entry to us! An interview with us, by Jasna Vombek, published in Nedeljski on June 5, 2011 (in Slovene). An article about us and Festivalito Rural, by Saška T. Ocvirk, published in Novi tednik on October 11, 2011 (in Slovene).